We are still finalizing pricing for this program. We expect to publish prices in 2016. Please contact us to reserve a spot or with any questions about this departure. The M/V Pindito is a traditional Indonesian, wooden motor sailing vessel, (referred to as a Pinisi), that measures 124 feet long and has a beam of 29 feet. She was built in 1992 by Edi Frommenwiler and completely refitted in 2006 with a new camera room, sun deck, and upgrades to the cabins and salon. She has eight cabins (two designed for twin share accommodations), each with their own shower, sink, toilet, and individually controlled air conditions. All cabins have continuous power (220 volts). Meals are prepared by expert chefs and are a fusion of western, asian, and Indonesian dishes. A large flatscreen TV and a complete library of marine life books, music CD’s and DvD’s round out the list of amenities on board. The boat is equipped with three active (and one standby) zodiac tenders, each with their own ladder for easy entry back into the boat. As a bonus, Balinese-style or aroma-therapy massage services are available throughout the trip. Please click here for more information about the M/V Pindito. 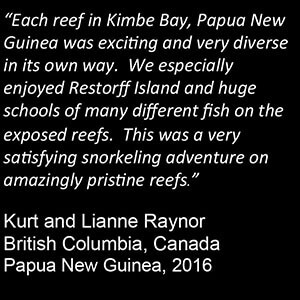 Please contact us to reserve your spot on our Forgotten Islands 2018 snorkeling expedition!